The Effect of Solar Energy on Climate - Sinoyin Solars Co.,Ltd. There is not the slightest doubt that Global warming has been looming by increasing carbon emission sources and extensive use of renewable energy sources. The change in climate is directly related to the usage of energy, i.e., solar energy. If the climate of the world gets warmer, there will be more energy needed to run cooling devices. The demand for energy to run cooling devices has increased up to 20% in the last few decades. It is only due to the change of climates which make global warming to produce more solar energy. At this modern era, people have become more aware of lowering their carbon footprint. The solar power is the best renewable energy resource which possesses 0.1% carbon effusion. Photovoltaic solar panels are the best devices which work under direct sunlight, thanks to this global warming, proved to be beneficial for solar energy. However, there are still many countries or regions which are not be able to avail this benefit from the type of change in climate concerning solar energy production. Have you ever imagined how many positive impacts solar energy can leave on climate change if we adopt it to geographies? Let us tell you why solar energy is considered as one of the best solutions to control the disaster of climate change. Solar Energy is a kind of sustainable energy that will take your one-time investment only and will provide the people with long term benefits. The nature of solar energy always gives protection to the needs of the present generation without affecting the necessary needs of future generations. Solar energy, produced by solar panels, causes no threat or damage to the planet as it doesn’t carry harmful radiations of any type in its overall production. 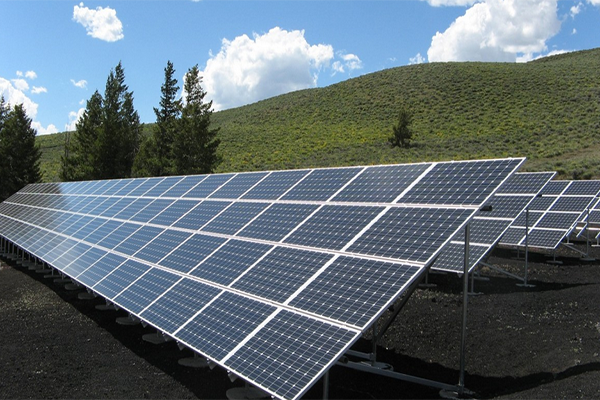 Solar energy plays an important role to reduce air and water pollution. It pumps up water systems which basically helps in better and proper distribution of water. Solar energy works as a right hand in lowering hazardous waste in chemical industries where the production is based on oil and coal. Solar panels are cost effective, which helps decrease the dependency on expensive gas and fuel, hence working as a peacemaker for manufacturers as well as customers. Solar energy also helps in lowering health risks like respiratory problems and several types of cancers. We fully agree with the fact that climate change is quickly approaching which will certainly result in the highest temperatures. It is up to us whether we prepare for it or let it take over our lives. Solar energy has been the best solution and which is used by many developing countries for the last few years. They are utilizing solar energy by using solar panels, hence decreasing their dependency on electricity. There may be positive and negative effects of solar energy on climate change. It relies on our method of production of solar energy. ADD : No.59,Shuangjing Street, Fengting Road, Industrial Park, Suzhou, Jiangsu,China (Mainland), 215121. © 2018 Sinoyin Solars Co.,Ltd. All rights reserved.